This book had so much potential, but it fell short. Usually I love reading about dystopian societies but this one left me lacking. The only thing I can think is that maybe there were too many things going on? 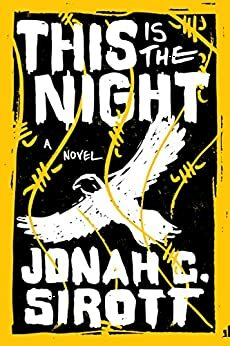 It was hard to follow the different unrelated yet parallel story lines and at times, I wasn’t even sure where they fit into the overarching story. I think the sheer number of characters and plot lines may have helped to lose my interest. Maybe instead of trying to cram all of this into one 300+ page volume this may have been better explored as a series of books? I did like the way the country the characters inhabited was subdivided into different sections or zones. This actually is brilliant, because it allows the reader to place the setting practically anywhere in the world based on their current surroundings. Being in America, with all our current political nonsense it was easy for me to pick out areas of North America as these different areas. I would like to have seen the political aspect explored more. What exactly is “Ideology Five”? This wasn’t really explained and left me wondering how this differed from the current Ideologies of the prime minister and the current ruling class. Who were the “Foreigns” and why exactly is this war still being waged after 22 years? Why aren’t the people sick and tired of sending their sons off to die or come back maimed? The “Classification” aspect of all Homeland individuals and the treatment of the Indigenous was also thought provoking. I could have done completely without the unrequited love bent between Benny and Joe. Truly, I didn’t see where this had any relevance in an already convoluted story line. As the book came to a close, the only real resolution was that the geriatric prime minister dies. The characters are left hanging, with no real resolution. I didn’t hate it… but I didn’t love it and I probably wouldn’t recommend it.